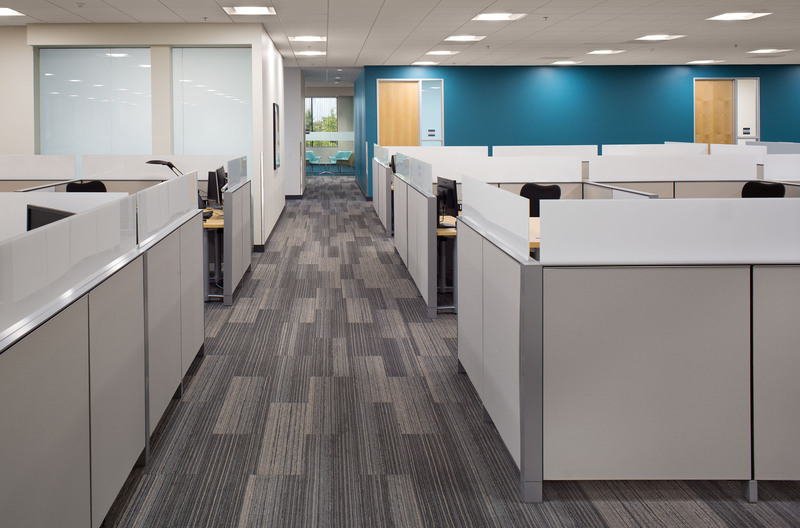 This project consolidates two adjacent facilities housing multiple ORACLE business units into one of the existing buildings (from 100,000 SF to 60,000 SF). 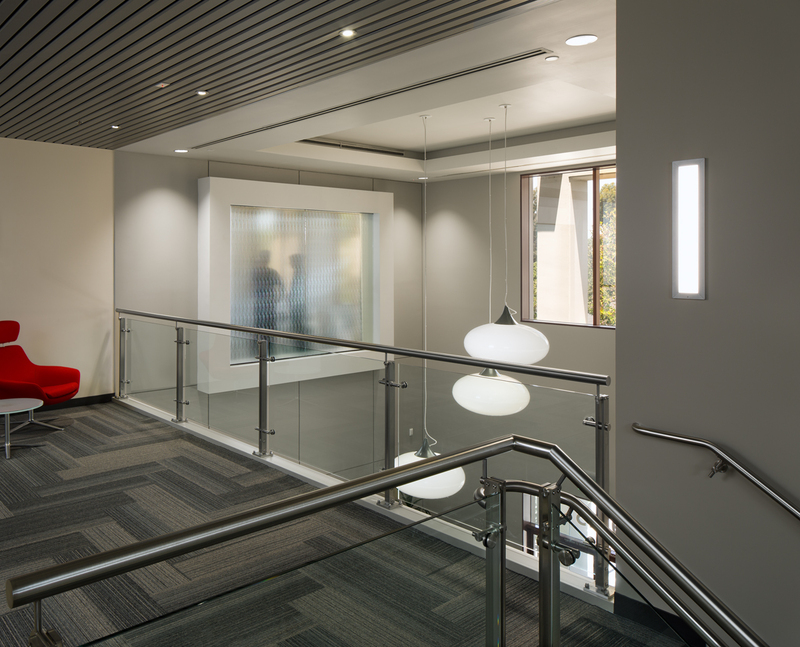 As a part of our services, Delawie assisted ORACLE in performing test-fitting of the consolidated operations with consideration for maintaining service of critical infrastructure and a phased improvement plan to allow continued occupancy throughout construction. 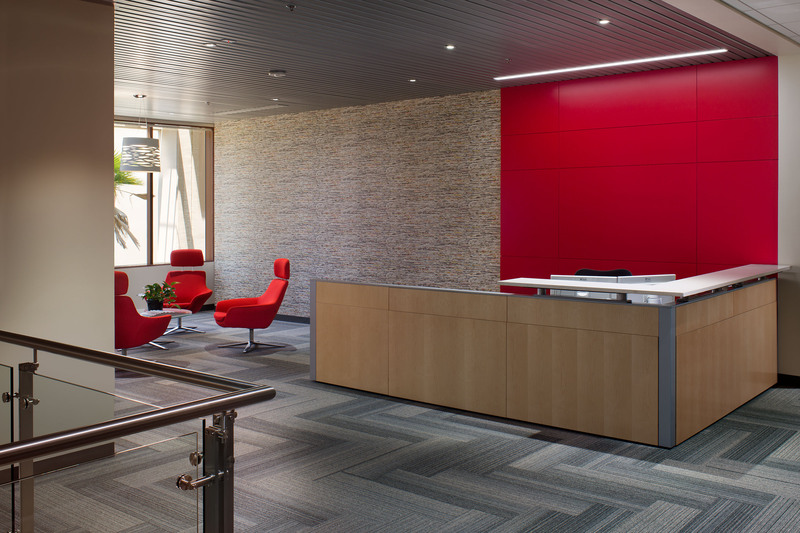 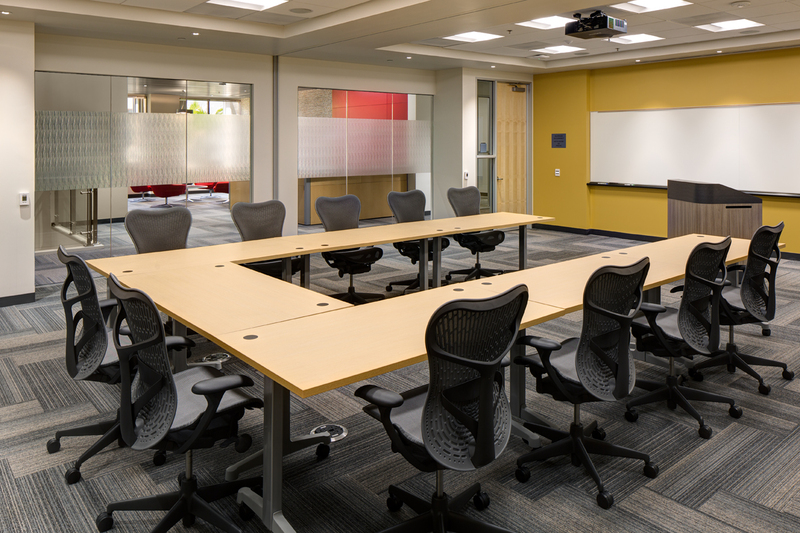 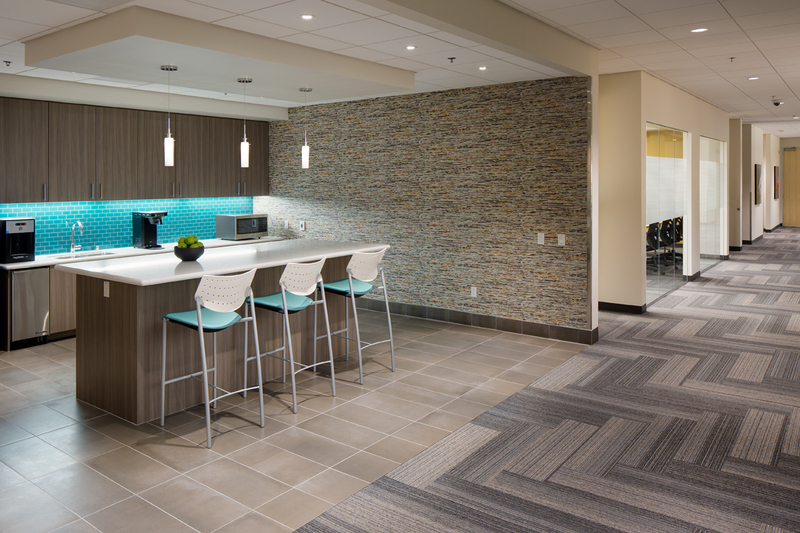 The renovation has a vibrant contemporary aesthetic and includes open and private office areas, conferencing centers, and laboratory spaces.